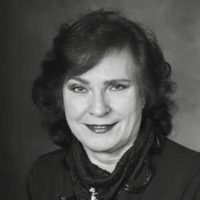 Marika is a well-qualified executive with over 20 years of information technology and business management experience in building and leading high-performing, collaborative teams. She has an excellent track record of balancing multiple priorities with projects that spanned world-wide. A strategic thinker with well-honed business acumen, Marika has a proven ability to lead the development of information and technology strategy that supports organizational goals, reduce costs and streamline operations. Successful in senior-level management within complex information-rich environments. She is able to communicate a vision, motivate the team, and create a collaborative, innovative culture that stimulates creative thinking, promotes client focus, and seeks out operational excellence. Good at developing innovative strategies and creating high levels of engagement, openness, and trust with stakeholders. She is focused on results with a continuous improvement mind set. At a large organization with over 35,000 staff, implemented change to foster collaboration across organizational siloes, engaged a variety of stakeholders both internal and external, and built cross-functional teams to successfully introduce new programs and reduce costs by $2 million. Created a media rich help-desk reducing wait times from hours to minutes. Noted as the top three best run help-desks in North America and used as a benchmark. Worked with Industry Canada to help develop international relationships for educational content delivery, e-learning module development and sharing of resources. Developed international partnerships with China, UK, and Spain. Worked with vendors to reduce yearly outsourcing costs by $160,000. Introduced the use of SaaS, utilized the cloud, created strong project management controls and developed SLA’s. Successfully managed the Canadian arm of a global organization. Developed the strategy, process, policy and operational standards that were flexible and reflected the needs and requirements of a variety of clients’ worldwide. Successfully managed large scale SAP and PeopleSoft projects to improve business management and automate functions. Planned and developed multi-year implementation plans for large and small organizations with the focus of translating organization strategies into clear objectives, priorities, and projects for the teams, delivering projects within time and budget while balancing risk mitigation and achieving ambitious results. Developed new strategy for virtual learning and saved over $500,000 for a large organization. Implemented governance, change control and process documentation based on ITIL for all aspects of the business to ensure ISO compliance with standards and regulations and meet CobIT audit requirements. Developed and implemented a large scale disaster recovery site and put in place business continuity practices. To learn more about Marika please contact Managing Principal Gord Forbes.